The 1959 Topps Baseball Card Set includes 572 standard size cards, which measure 2½" by 3½", and feature a bust photo of the player inside a colorful circle. The subsets for the 1959 Topps baseball cards are the Rookie Stars (116-146), Baseball Thrills (461-470), and the Sporting News All-Stars (551-572). The 1959 Topps high number series (#507-572) has the lowest population of any series in the set. The key rookie card in the 1959 Topps Baseball Card Set is #514 Bob Gibson, framed inside a pink circle. 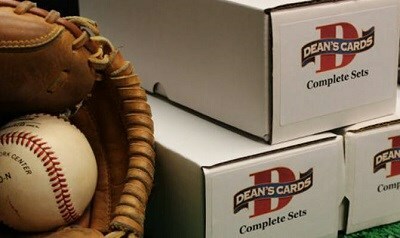 The most expensive card is #10 Mickey Mantle. CLICK HERE if you want to sell your 1959 Topps Baseball Cards. Showing 1 to 100 of 587 products.